Facebook user, Dave Malenfant, shared this story because it really touched him. He proudly works at the National Cemetery in Holly, where fallen soldiers lie. One of his responsibilities is the “Cleaning of the Stones”; while doing so he noticed a quarter placed on one of the headstones and wondered about it. Later on, he saw a nickel placed on another stone, and realized it had to be intentional. He was so touched that he took pictures, and decided to look into it. What he learned affected him so deeply that he felt the need to share it with others. 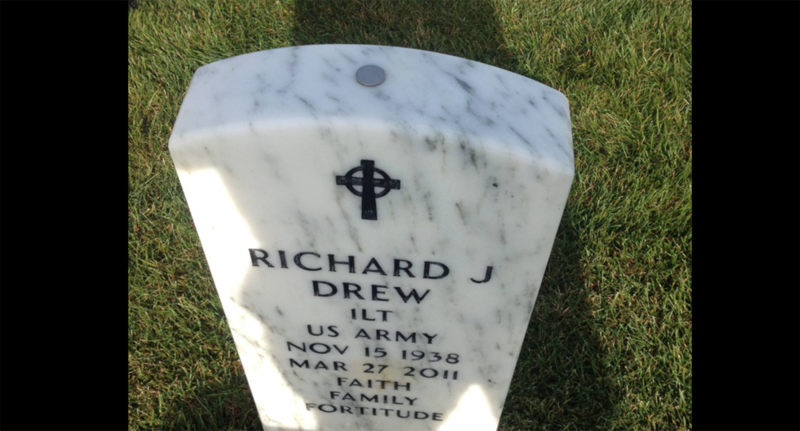 The purpose of a coin left on a headstone is a sign of respect; it lets the deceased soldier’s family know that someone took the time to stand before his or her grave, to show gratitude for the fact that they gave their life in service of our country. Each denomination of coins has a certain meaning. The video you are about to watch below goes into greater detail in explaining this custom. Leaving a penny means you simply visited the grave while a nickel signifies that you trained with the fallen soldier in boot camp. Leaving a quarter has the deepest significance; it means that you were there when the soldier died. After watching the video below, please let us know your thoughts about this custom.